Our idea was to attend the Toast Martinborough wine festival and then canoe the Wanganui Journey, a 3-5 day trip on the Wanganui River. The canoe trip is in a remote area so we decided to rent a car in Wellington and drive it back to Auckland. The week started out well. Once again I had waited too long to find accommodation so we were staying 20 minutes from the festival in Featherston. Thankfully the B&B was gorgeous and Rimutaka shuttle was reliable. My only regret is that we didn’t have more down time to enjoy the B&B’s beautiful garden courtyard. We arrived in Featherston the day before the festival and got acquainted with the area, did a wine tasting, visited a backyard brewery and went to church. Early Sunday our shuttle picked us up at the B&B and we got to Martinborough shortly before the festival started. 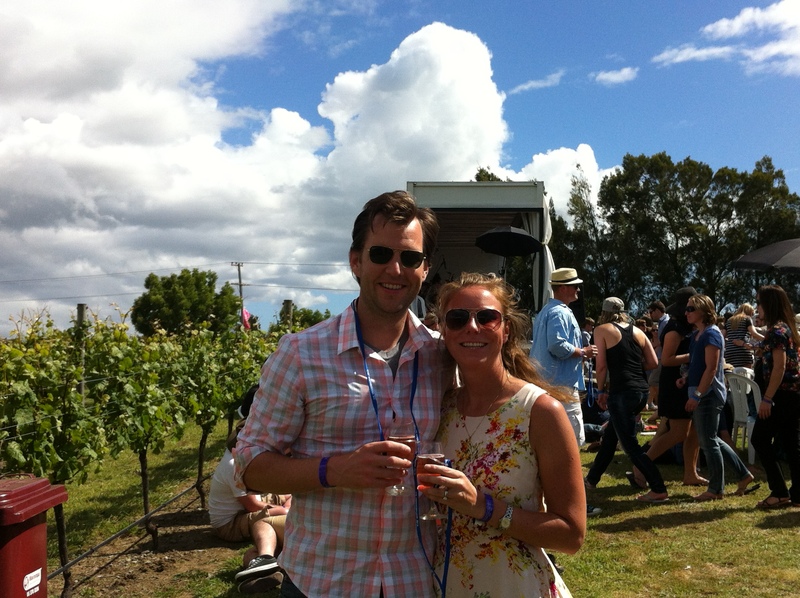 Toast Martinborough is a celebration of 9 vineyards in the Wairarapa region. It was a little chilly and as the day warmed up I was happy to shed some layers. Each venue had live music and food throughout the day. Vineyards were walking distance, but there were also buses running between them. I’ve never seen so many fedoras! It was great to see people dressed up and having a good time. By the end of the festival we were all dancing and disappointed when they cut the music and stopped selling wine at 6pm. To make purchases at the festival you have to buy tickets. Of course you cannot return these for cash at the end so several of us were left with useless tickets. A minor inconvenience when compared with a day’s fun. The next day was rainy; we drove north. Upon arrival at the Raetihi Holiday Park the owners told us that rising water levels might impact our canoe trip; we had to wait and see. We walked around the small town, bored within 20 minutes. We hopped back in the car and drove to the last town we passed through. In a hurry to get out of the rain we quickly decided to have dinner at an unremarkable Mexican restaurant. Returning to the holiday park we packed for the next day assuming we would be canoeing. Early the following morning, the tour operator said the water was still rising and she wanted to wait and see. However, other tour operators were still running. Had I known which companies were going I would have called and hired them. Unfortunately our trip was officially cancelled an hour later. Our options were to wait another day and find out if the water levels dropped, or reschedule the trip for another time. Since the forecast indicated another rainy day we decided to cut our losses, save Allen’s vacation days, and return to Auckland. Disappointed at not being able to do the canoe trip we made the long drive home. Benvenuto B&B in Featherston, 20 minutes from Martinborough because I couldn’t find accommodation in Martinborough. Host Trish is very nice. spacious room and area for $105/night; stayed 2 nights. Raetihi Holiday Park; price was right at $25.night, but service and blankets were lacking. Hosts/owners also run canoe trip which was cancelled due to high water levels. Go with a different operator and accommodation next time.